AMS mechanics are trained in exhaust repair and replacement in Weston-super-Mare. 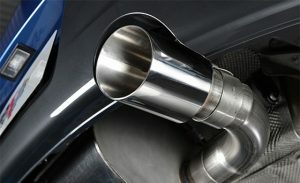 A healthy exhaust system is critical if you are to maintain the health and welfare of the vehicle occupants, a quiet smooth running engine and optimum fuel efficiency. If you have any concerns regarding the health of your vehicles exhaust system then call in to AMS for a free safety check today.